Both duodenal ulcers and benign gastric ulcers are believed to be related to mucosal infection by H.pylori. Peptic ulcer disease are mainly classified as complicated and uncomplicated. Age of presentation ranges from 20-60 years old, which is of course, more common among young adults. Incidence is higher in males. Most patients during acute presentation will present with epigastric discomfort or pain. The intensity ranges from mild dyspepsia (related to food intake, sensation of indigestion), to severe epigastric pain, which often forces the patient to lie down still. However, as the course of illness goes chronic, pain is rarely severe. A characteristic feature is night pain, which is a dull, boring ache often wakes patients from sleep. This is due to the increased gastric acidity at night, and there is lack of food to buffer against it. Patient may complain of heart burn, excessive salivation (water/acid brash) related to food intake. In duodenal ulcer, food intake relieves the symptoms. Hence, patient rarely losses appetite. In gastric ulcer, food intake aggravates the pain and often patient is apprehensive towards food. Hence, history of appetite and weight loss is more common in them. Vomiting relieves the pain in gastric ulcer. The symptoms exhibit another characteristic, which is periodicity. As the symptoms persisted for a few weeks, then it may be followed by a period of remission for weeks to months, only to recur after that. Hemetemesis and malena must be asked in the history as well. Often, in examination, apart from abdominal tenderness (guarding if severe), and pallor if there's chronic silent bleeding, there is usually no other significant findings in examination. Full blood count and iron studies may reveals iron deficiency anemia. Other blood investigations - hypokalemia, increased hematocrit as a result of vomiting. The choice of imaging in peptic ulcer disease is oesophago-gastroduodenoscopy (OGDS). Not only it allows visualization of the lesion, it allows mucosal specimens to be biopsied. 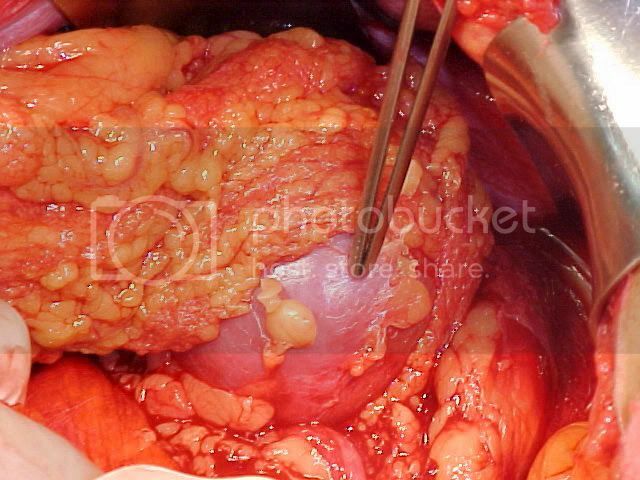 Usually biopsy is taken from the gastric antrum, and the specimen is subjected to CLO test. CLO test consists of inoculating the specimen into a medium containing urea. Hence, if the specimen contains H.pylori, which produces urease. The enzyme reacts with urea, and produces ammonia, which changes the medium from yellow to pink/red colour. That confirms the positive status of H.pylori in the patient. Due to the finding of Peptic ulcer disease is related to H.pylori infection, the management of uncomplicated peptic ulcer disease is mainly medical. First of all, avoid smoking, alcohol, and NSAIDs. However, if the patient requires long courses of NSAIDs, and his/her H.pylori status is -ve, a least damaging agent should be used, such as ibuprofen. Anti-secretory agents such as proton pump inhibitors, H2 blockers are used. To supplement these agents, drugs like sucralfate, bismuth compounds, prostaglandin analogues are used. Regardless whether it's a duodenal ulcer/gastric ulcer, once the patient is H.pylori positive, eradication regime of H.pylori is employed. Usually consist of 1 proton pump inhibitor and 1 or more antibiotics. In case of duodenal ulcer, if the patient is compliant to the medication, the success rate of remission is about 90%. Without the eradication regime, the chances of relapse within 1 year is about 80%. Any persistence of symptoms, a urea breath test (non-invasive) should be done to reassess the H.pylori status in the patient. However, it must be done 4 weeks after completion of the eradication regime. Or else, the therapy merely suppresses the bacteria, and may lead to a false negative test result. However, in gastric ulcer, biopsy need to be taken before making a diagnosis of benign gastric ulcer. Then if found benign, eradication therapy is given to all patients with +ve status of H.pylori. Surveillance of the lesion need to be done until the ulcer heals. Any persistence of symptoms, further biopsy must be taken. Occasionally, the gastric juices erodes through the gastric/duodenal wall to the extent that only covering left is the visceral peritoneum. The gastric juices collects within the peritoneal cavity, leading to chemical peritonitis. Eventually, there'll be secondary bacterial infection, leading to spontaneous bacterial peritonitis. Sudden onset of severe, continuous abdominal pain which initially confines to the epigastrium. It rapidly increases in it's intensity, and eventually the pain becomes generalized. Breathing, movements aggravates the abdominal pain. Also ask for previous peptic ulcer disease, or history of dyspepsia. Patient usually lies still on bed, breaths shallowly, and is in a state of distress. Temperature is usually normal, there might be tachycardia. On inspection, the abdomen doesn't rise and fall with respiration. This is due to the tight contraction of the abdominal musculature. On palpation, abdominal tenderness and guarding initially confines towards the epigastrium. Later, if the peritonitis becomes generalized, the entire abdomen is tender, and there is intense guarding. This results in the abdomen being described of having board-like rigidity. It is impossible to palpate for the abdominal viscus since the muscles are tightly contracted. On percussion, there may be obliteration/diminished liver dullness (due to the air escaped from the perforated viscus into the peritoneal cavity. Shifting dullness may be +ve. On auscultation, bowel sound may be reduced, which indicates generalised peritonitis. Note : 4-6 hours later, due to the dilution of the accumulated gastric juices within the peritoneal cavity, the patient's symptoms and signs subsides, and the patient actually thought that his/her condition is improving. This is mainly due to the onset of hypovolemic shock, which may be indicated by the presence of increasing abdominal distension, tachycardia, signs of dehydration and etc. In 60% of the patients, the CXR reveals air-filled under the diagphram. However, absent of this finding does not exclude perforation. In laboratory investigation, there is usually some degree of elevated serum amylase level. However, 3-4 folds elevated serum amylase level is more suggestive of pancreatitis. Only after the patient is stable, surgical intervention is done. In case of a perforated duodenal ulcer, usually simple closure is performed by using an omental patch. Then, close the perforation by either simple closure or local excision. During post-op period, IV gastric anti-secretory agent is given. Patients with long standing peptic ulcer disease may develop pyloric stenosis due to healing of the ulcer via fibrosis at the level of the antrum. Projectile vomiting is classical, which consists of non-bilious, undigested food particles. It usually occurs when the patient is lying down, and following the vomiting, it relieves the sensation of fullness. Note that not all patients requires surgical intervention. A course of PPI can be given first, in hope that when the ulcer heals, the stenosis is resolved. One of the most common cause of death in men. Pernicious anemia, gastric polyps and chronic gastric ulcers are known pre-malignant conditions. Gastric CA is more prevalent in countries which malnutrition is a problem. High intake of vitamin C and E seems to be protective. Any individual above 45 years of age, presenting with symptoms of dyspepsia, no matter how vague is it, should be investigated. The epigastric discomfort may not be always associated with food intake. Patient with long standing history of peptic ulcer disease may notice the change in the character of pain. Usually it's the periodicity of pain becoming more constant. There's usually complains of early satiety as well. Another prominent symptom of Gastric CA is significant loss in appetite, which results in loss of weight. Patient can lose around 10-20 kg of weight within 1-2 months. If the tumour is present at the region of gastric cardia, patient may report of progressively worsening dysphagia, and eventually it may be worse enough to cause regurgitation of food contents. If the tumour is present over the gastric outlet, there may be symptoms of gastric outlet obstruction. Next is to sought the history of the risk factors mentioned above. And please elicit history suggestive of metastases to the lung, liver, bones, and brain. On general examination, the significant findings includes pallor, cachexia and probably jaundice. Severe wasting is most noticeable over the hands and face. Presence of jaundice (usually scleral icterus) indicates liver metastases. Inspection : abdomen is usually scaphoid, due to the severe wasting. Paradoxically, the abdomen may be distended due to malignant ascites. Palpation : usually reveals deep tenderness over the epigastric region. In thin patients, deep palpation on full inspiration sometimes reveals a hard, irregular mass. Liver may be palpable, which is hard in consistency, knobbly in surface, non-tender.